Our version of the P320 “xCompact” Grip Module is a collaboration between Ben Simonson (Boresight Solutions), Bruce Gray (Grayguns) and Mike Grasso (LAPD & Grayguns). This custom module feels great and points flat. 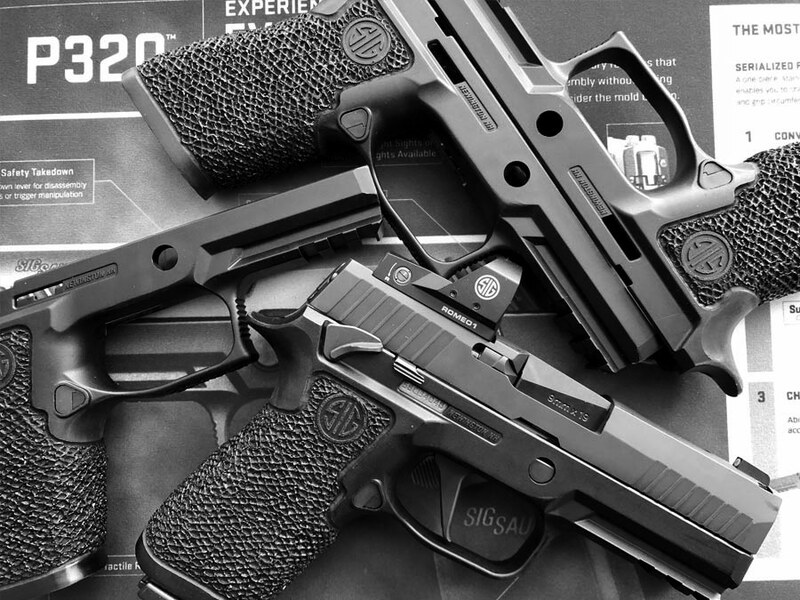 It’s the natural progression of the xSeries SIG Sauer® P320 grip modules designed by Bruce Gray and Roy Nelson. 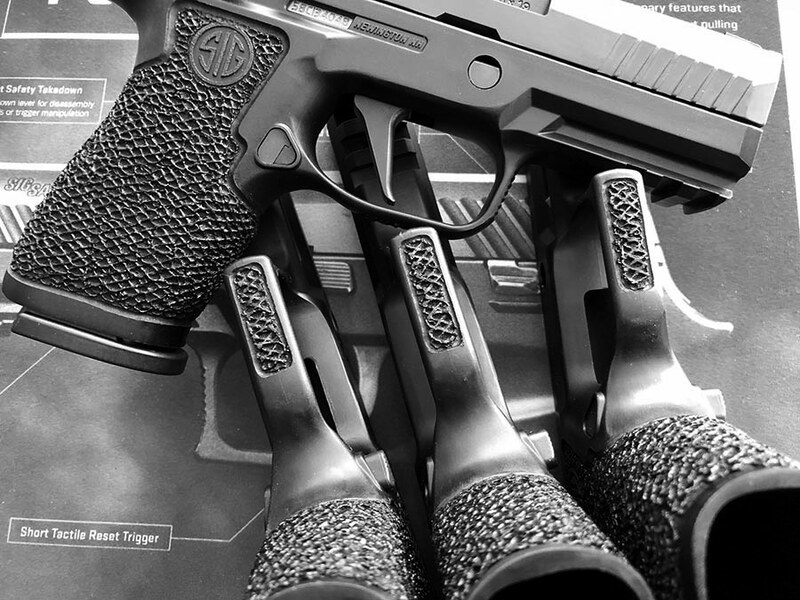 Based on the xCarry, this “xCompact” features a custom grip length reduction to accommodate the P320 15-round magazines. There is a high demand for these grip modules, but we are only able to procure a VERY limited number each month. If you signed up to be notified and came to this page to find out we are already out-of-stock, we apologize. PLEASE SIGN UP AGAIN and you’ll be notified as soon as more are in stock! This custom module is a collaboration between Ben Simonson (Boresight Solutions), Bruce Gray (Grayguns) and Mike Grasso (LAPD & Grayguns). 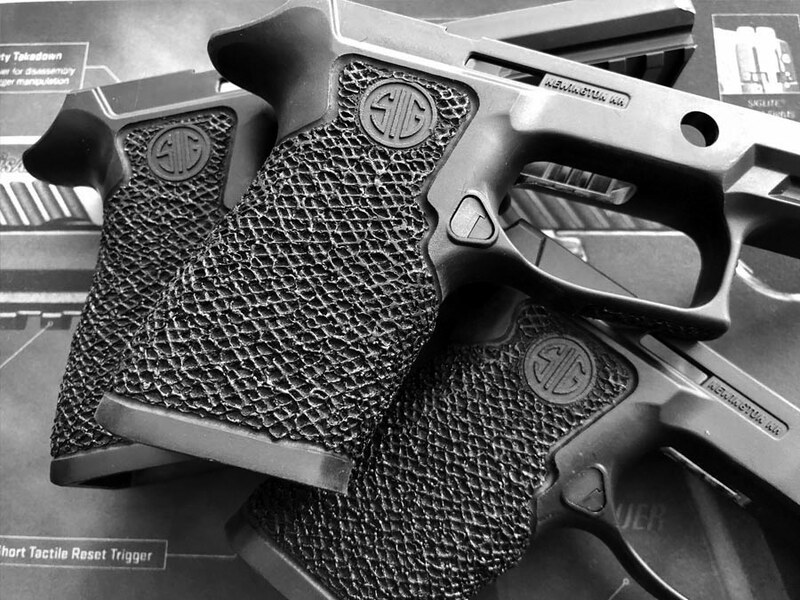 Our Grayguns version of the P320 “xCompact” Grip Modules are hand customized by Boresight Solutions. Starting with a new xCarry module, a 360-degree smoothing of the grip is done to remove the raise molded factory lines separating the grip panels. To ensure the grip module is extremely comfortable, custom features are painstakingly incorporated. Hand stipling, grip reductions and contour changes along with reshaping the magwell and reducing the overall size to accept a standard 15 round magazine. 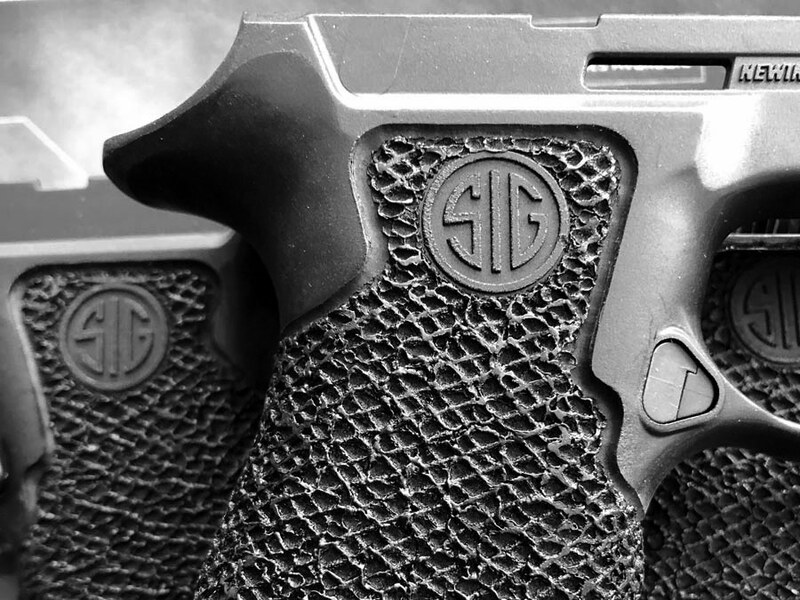 Customized on a brand new SIG xCarry Module, included in package. These are handmade custom stippled modules, slight variations in stippling will occur. Due to the custom nature and waitlist, once purchased they can not be returned unless defective. 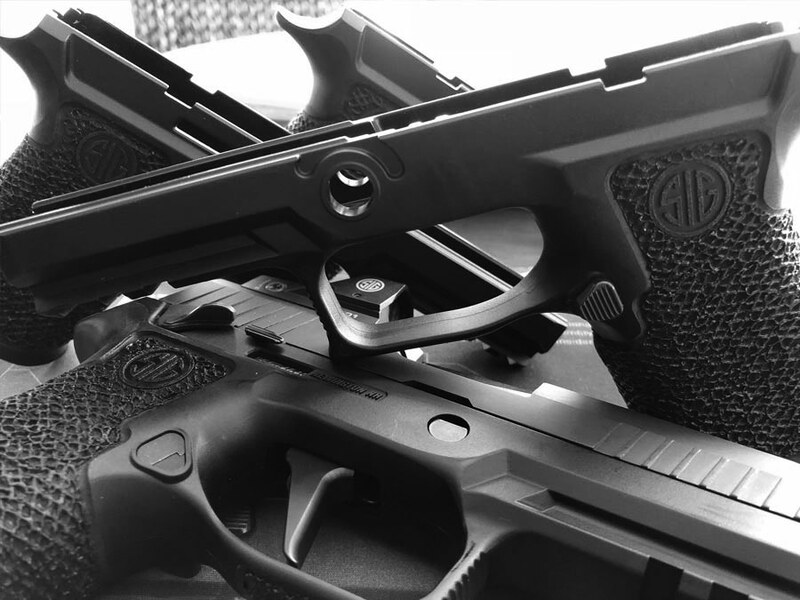 Add a Grayguns P320 trigger and or Competition Trigger Kit to build your perfect P320.